Please select options for Raxiom Tail Light Sequencer - Plug-and-Play (10-19 All) at the top of this page. 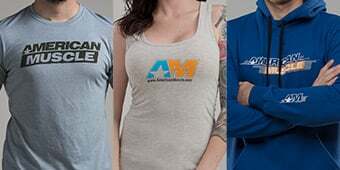 Hey guys, Justin with AmericanMuscle.com here with a very cool new product from aftermarket lighting giant, Raxiom. I'm taking a closer look at their tail light sequencer available for all 2010 to 2014 Mustangs. 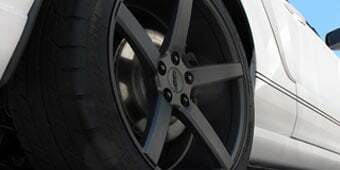 Raxiom's whole philosophy is that they want to help you customize your ride through technology and lighting. 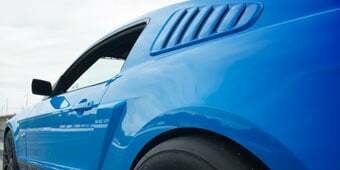 So with that in mind, they produced a wide variety of aftermarket parts and lighting for your Mustang designed to separate your ride from the rest. Now if you guys want to keep tabs on more Raxiom products both new and old for your Mustang, you need to follow our YouTube channel. Subscribe if you haven't done so already for all of the best Mustang content on the web. Now we all know and love several different aspects of these late S197s from the perfectly balanced modern yet retro styling cues, that awesome coyote motor, and, of course, the return of the factory sequential tail lights on all 2010 to '14 cars. Well, in true Raxiom form they found a way to take things to the next level. What the Raxiom sequencer does is apply and enable that same awesome sequential styling that was previously only applied to your turn signals and now also applies it to your hazards, your brake lights, and even every time you lock and unlock your car. Making this all possible are these two Raxiom harnesses I have in my hand here that again are completely plug and play, so no wiring, no splicing, nothing. The harnesses are complete with state of the art electronics and the two male and female plugs here. Now if you guys aren't already watching this on our site and you'd like to learn more about this kit from Raxiom, well then all you have to do is simply click on that link below to head back to the product page at AmericanMuscle.com. As I have been saying this whole video, guys, this kit is completely plug and play so, therefore, it should take you no more than a few minutes to get everything installed. You can even get away with installing this kit without having to remove the rear trunk plastic, but for the purposes of the video we took ours out just to give you guys a better look. Now once you have access to the harness, simply unplug it from the factory tail light, plug the Raxiom harness in in its place and you should be good to go. 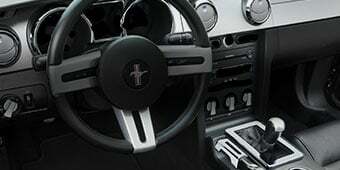 Now if you should have any problems or questions whatsoever with this kit, feel free to reach out to one of our Mustang experts any time by email or, of course, by phone. If you're looking to take the factory tail lights in your 2010 to 2014 Mustang to the next level, then be sure to check out the Raxiom sequencer kit available here at AmericanMuscle.com. Upgrades Factory Tail Lights. Everyone loves the stock Sequential Tail Lights of the 2010-2019 Mustangs. They look fantastic, however the one minor issue is that they only sequence when used as turn signals. But Raxiom has solved this problem with their Plug-and-Play Tail Light Sequencer to add additional sequential modes. Additional Sequential Modes. When activated the turn signals or hazard lights will sequence from the center light out and repeat until switched off. When the car is locked/unlocked or when the brakes are applied, the tail lights will sequence once and then stay lit during braking. Modern Electronics. The Raxiom Sequential Tail Light Harness Kit is assembled from state of the art electronic components with a simple plug-in connector that easily insert into the stock wiring harness. This kit includes two inline unit harnesses, one for each side, that replace your factory harness. Easy Installation. 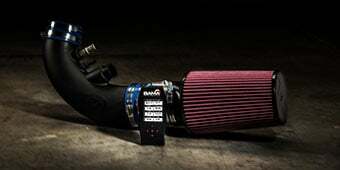 The Raxiom Mustang Sequential Tail Light Harness Kit is a direct plug-in replacement for the stock wiring harness. Simply unplug the stock harness and plug in the new Raxiom sequential harness in it's place, it is that easy. Application. This Raxiom Tail Light Sequencer Harness Kit is designed to fit all 2010 to 2019 Mustangs including the V6, GT, BOSS and Shelby GT500 models. Not compatible with the European Spec Tail Lights, that feature the clear lens. 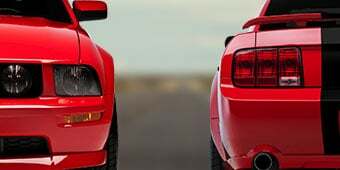 Hi guys, do you think in the near future you will be selling tail light sequencers for uk and euro spec 2017 mustangs, because were all crying out for em over here. 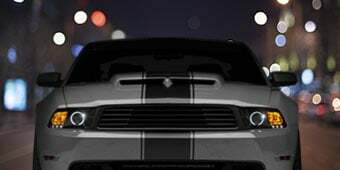 The Raxiom Tail Light Sequencer is designed to interface with the US/Can spec Mustangs existing sequential lights to add additional functionality. Unfortunately the sequential lighting is disabled in the body control module of Euro spec Mustangs, preventing this, or similar options from working. 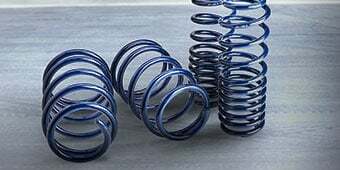 At this time we have not yet heard of a stand alone sequential setup that has been designed for the Euro spec Mustangs. Hello, I have just purchased an Oxford White 2017 GT Premium, would this product work on my GT?? The Raxiom Tail Light Sequencer will work on your 17 GT yes. Raxiom designed the wiring harness for US model Mustangs, and since the EU and UK models are wired differently, this kit would not be a direct plug and play unit for those EU and UK models. 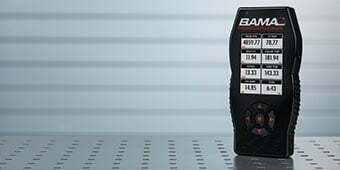 Raxiom does not have wiring information for the EU and UK models since the wiring is different. 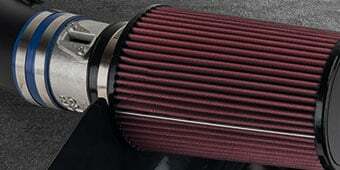 Will these work on 08 pony package v6? So I just ordered the new Raxiom dual LED halo taillights. The sequencer shows it working with the stock lights but will it work with the new ones made by Raxiom ? Yes, The Raxiom Tail Light Sequencer will work great with your Raxiom Dual Led Halo Taillights. These appear to be specific instances in terms of defects. If purchased and you encounter similar or other issues, please reach out directly to our customer service department via our live chat feature, email at support@AmericanMuscle.com, or by calling 1-855-209-8876 we would be glad to help! When activated the turn signals or hazard lights will sequence from the center light out and repeat until switched off. When the car is locked/unlocked or when the brakes are applied, the tail lights will sequence once and then stay lit during braking. This will continue to sequence as your foot is on the brake yes. Yes, this kit will be compatible with the 2018 Mustangs. Bought tow one for 2011 GT and one for 2017 ecoboost. love them. Very easy install. Ordered for a 2017 Mustang. It does not work. In fact, it disables the factory turn signal sequence. Total junk. It says on the box that it's for 2010-2016 Mustangs. No idea why they advertise it as fitting and working for later years when it clearly does not. Very easy install and I get lots of compliments. This is how the lights should’ve been from factory. Simple plug and play,REALLY! Works great! LOOKS EVEN BETTER! This tail light is just what my Mustang Bullitt was missing. Now, with the high quality tail light from American Muscle that shipped so quickly, my Bullitt looks complete. Thanks AM! Basically idiot proof to install and it took me less than 5 minutes to do outside the post office as soon as I picked it up. Would highly recommend for an easy and cheap mod to your mustang. I absolutely love these sequencers! They are super easy to install, look great, and were really affordable. Great product! It took just minutes to install on my '16! I think this item has a great price for what it does. It was the easiest thing to install on my car. It’s worth it. Simple install, the only difficult part is having to remove the sub box the reach the passenger side relay. I purchased these two years ago and loved them until one became faulty. One of the wires had broken somehow, and they sent me a replacement. I am leaving a review here based on the NEW design. The design is much nicer and sleeker. No Bulky box anymore and has higher quality wireing. These have added that extra pop to my tails I was looking for. Easy plug and play installation. Highly recommend these!!!! I've always loved the sequential tail light feature on the 2010-14 mustang, and the upgrade feature raxiom provides is a must have, I love the way it looks and performs. Any one who owns a 2010-19 should add this mod. Unless you're slapping a sticker on somewhere this is one of the quickest mod install with results. I recommend this item. Installed on my previous four Mustangs. Great product that really adds that nice custom touch on my GT350. Quick install and certainly at a more then reasonable price. Don't hesitate. Easy install, takes 5 minutes, unless you have the shaker system in the newer 15 with the sub in the trunk, makes getting to the tailight a little tricky. But noticibale look that everyone points out and says they love when they follow you.